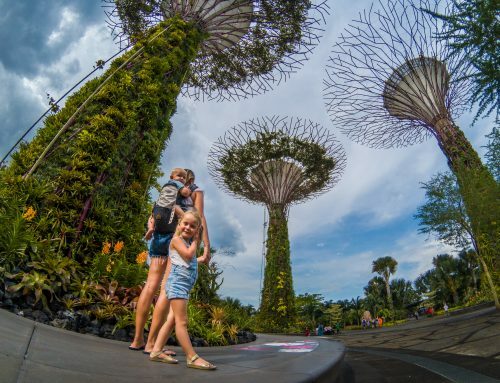 The days of Singapore being used as a layover are long gone. With so many adventurous activities, eye catching sites, not to mention amazing resorts, it’s most certainly a destination in its own right. The island of Sentosa is man made and houses some of the most incredible hotels in Singapore, and places like Universal Studios. 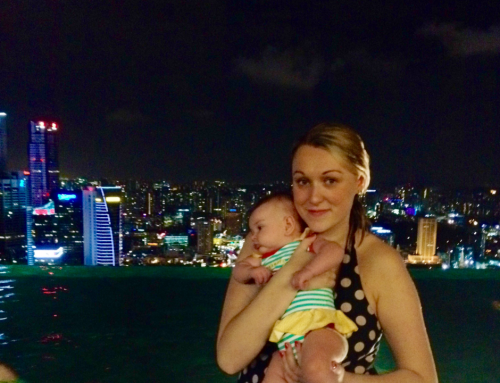 We have been to Singapore before, but never visited Sentosa, so it was a completely new adventure. We stayed at the Sofitel Singapore Sentosa for two nights. Needless to say we spent most of that time enjoying the facilities the resort had to offer, rather than exploring the local area. We are due back to Singapore very soon so we will do some more activities then. I feel when splashing out on a resort it’s better to enjoy the benefits of everything onsite. Sofitel Singapore Sentosa did not disappoint. There are very few hotels around the world that perfectly blend luxury and family friendliness. There was plenty for the kids and adults, not to mention great food! 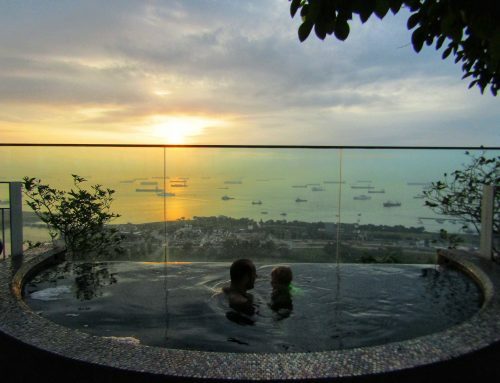 Here is our review of Sofitel Singapore Sentosa. The site of Sofitel Singapore Sentosa is quite expansive. Luckily they have all the bases covered with golf carts at the ready. The Kids Club or Villa Des Enfantes is about five minutes from the main hotel. The ride across was a lot of fun itself for our nearly four year old. Zipping up little hills and through beautiful gardens, we arrived at the kids club. 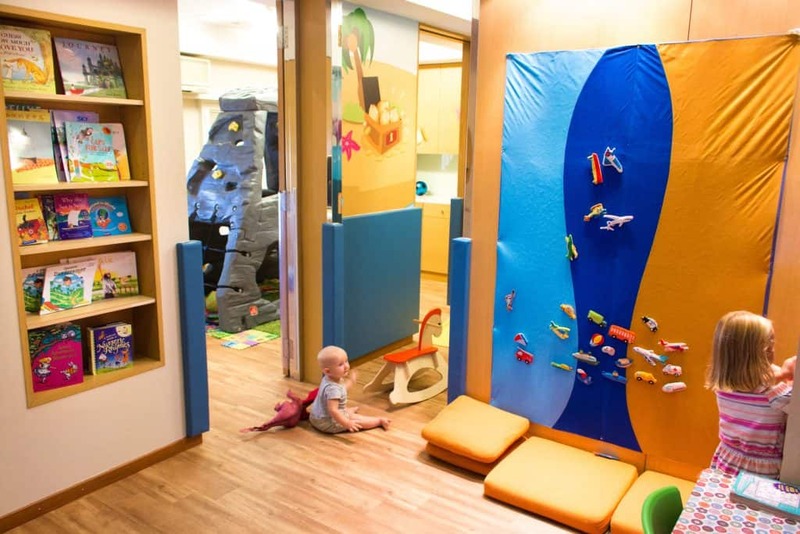 It’s an indoor play area that is fully air conditioned and has plenty for a variety of ages. Our baby, ten months old had lots of age appropriate things to play with and our daughter got great use out of the rock climbing frames, video games, tool sets and so on. Kids are welcome to stay without parents if they are over 4 years old. There is a staff member to supervise. Kids Club is ideally located next to the beautiful So Spa. 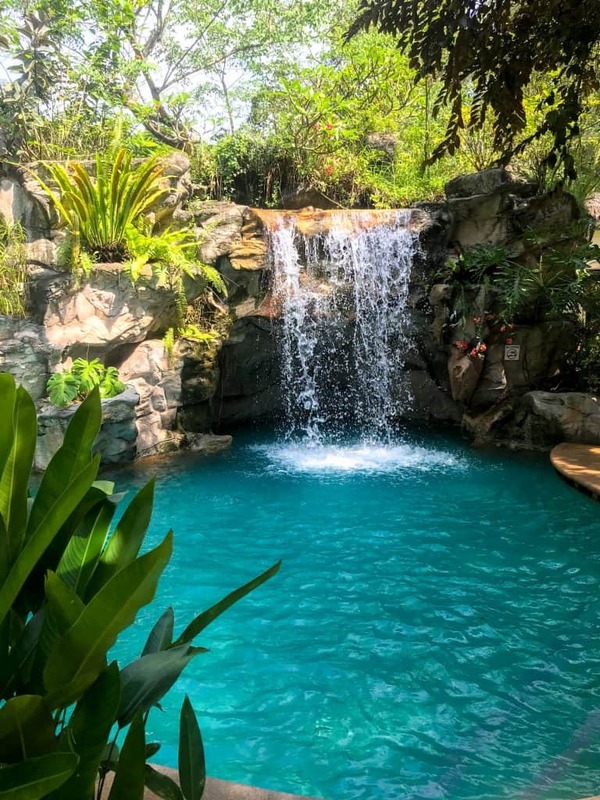 They have some incredible treatments, but my favourite was the swimming pool, complete with a waterfall! It was so pretty but worth noting it’s an adult only area. Wow! The swimming pool at Sofitel Singapore Sentosa is absolutely massive! It’s quite deep in parts but they have an area nice and shallow for little ones that is roped off from the rest of the pool. They have lifeguards keeping a close eye on things, not that we weren’t watching our kids. There are so many massive double bed loungers alongside the pool, they are perfect for setting up a little play space for babies. We loved the fact there were so many other families. Our little girl had plenty of other kids to play with in the pool, it kept her entertained for hours! You don’t have to go to the spa to have a pedicure! The hotel have cleverly set up an area next to the bar. It had nice cushions around the edges where guests can sit and dangle their legs into the fresh water below. Tiny fish nibble on the dead skin. It seems like a strange concept if you are not already familiar with it! There are some high end beauty salons in London where they have these fish giving people natural pedicures every day! My husband was a big fan of it. 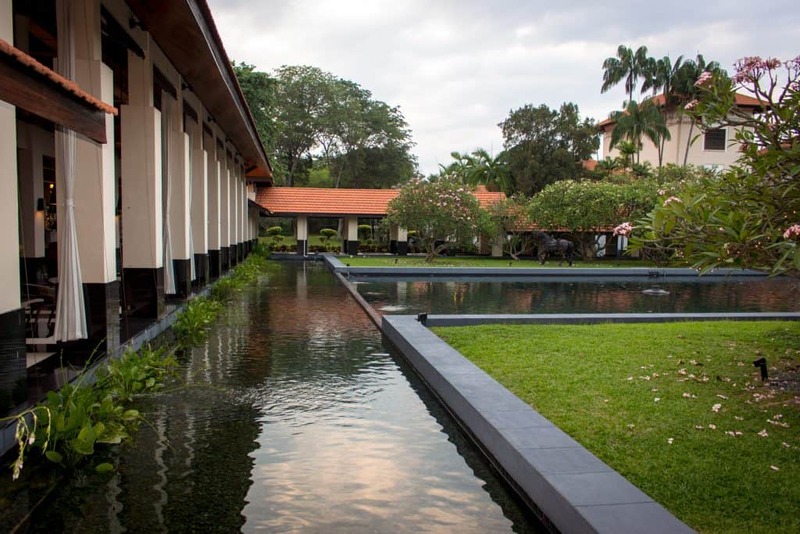 Most of the expansive area at Sofitel Singapore Sentosa is the lush green gardens. There is so many trees, beautiful plants and flowers to admire. We loved the many resident peacocks that hang out in gardens, or around the hotel. They have quite a unique sound that can be heard from miles away! Mixed in with all of the other birds, the chirping sounds reminded me of the nearby Singapore botanical gardens. I have such fond memories of walking through when Esmé was a little baby, so it was a nice reminder and so relaxing, a total tropical paradise. Amazingly, Sofitel Singapore Sentosa has direct access to a beach from the resort. There is a set of steps very close to the main swimming pool that winds down for five minutes and opens up onto the beach. It’s the perfect place for little ones to play in the sand, making castles. My kids could spend hours on the beach, it’s their favourite place to be. We stayed in a beautiful suite on the Peace Wing. It seems there are many different accommodation options, from villas in the gardens to luxurious rooms in the main part of the hotel. The suite in the Peace Wing was perfect for us. 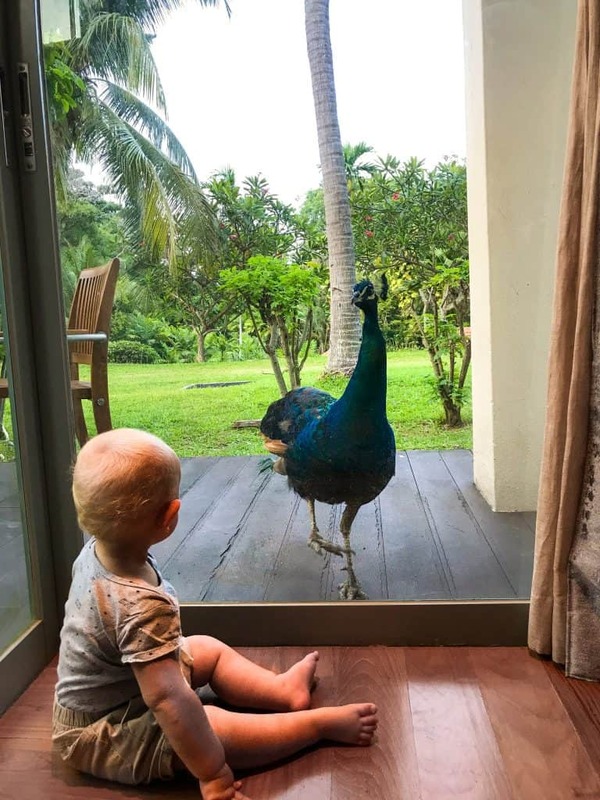 We had direct access to the gardens with a little patio area and found it so cute when the peacocks would come and peer in the window at us. The kids were fascinated with them. We had a super size bed and a cot for the little one. The bed was so comfortable! After being travelling for many months we recognise good beds after a comfortable night sleep. I always love when hubby and I have a separate area to hang out after the kids bed time. Our lounge was perfect for that. Complete with the most epic coffee deck, concealed in a clever cabinet, comfortable sofas and a desk area to work, we were sorted! The bathroom was beautiful with surround mirrors, a massive bath, as well as a walk in shower. The personal products were lovely. I never use hotel conditioner, but the hair products were amazing, just as good as hairdresser ones. 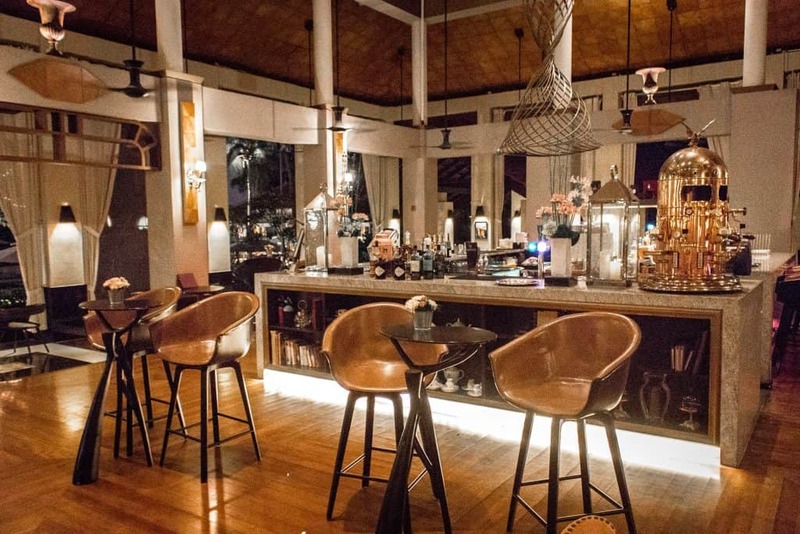 There are five restaurants in Sofitel Singapore Sentosa! So as you can imagine the options are endless. Breakfast is served in the Kwee Been and Chocolatier restaurant every morning. Breakfast is definitely one of my favourite parts of any hotel stay. Having stayed in hundreds of hotels over the last year, it takes a lot to impress me and even more to rank in my top three favourites. The breakfast was immense and it wasn’t just your typical fruits, pastries and cooked breakfast. It had so much more, where do I start? The waffles stand, the entire Asian section, the tens of freshly pressed juices, the gluten free station. Being vegetarian, borderline vegan, I was delighted with the options. More often than not, in most hotels, I have black coffee and fruit. That was not the case in Sofitel Singapore Sentosa! In the afternoon we had pool side snacks. Trying to get our fun loving toddler to come away from new friends for the sake of lunch was in the ‘too hard’ basket. The large beds were perfect. We ordered a bunch of snacks from the menu and we all sat around nibbling from the choice. Panini, pizza and salads to name a few. Oh and the truffle fries are out of this world! We ate at the pan Asian restaurant for our evening meal. They had lots of choices, however we had dishes from the Indian options. I had a vegetarian curry, whilst hubby had chicken tandoori. Our kids are not so into Indian so they had pasta. I loved that all of the restaurants are super flexible with little guests. Have you found this post useful? Leave a comment we love to hear from you. If we’ve helped you in some way, we would love if you could help us too. In this digital age there is a demand for immediate information online. Being a patron is a new-age way of giving a small token of appreciation for this information, which takes time to put together, with no financial return. We offer exclusive access to blog posts before they are published as a thank you. We also offer travel advice and consultancy at different payment tiers. You can sign up to our Patron program here. Disclaimer: This post has affiliate links. We enjoyed Wet Wet Wild and The Bird Southern Table complimentary in return for a written review. As always all views expressed our entirely my own. This is perfect timing for us, we’ve just booked today our trip to Singapore and then Australia for us and our two year old. Singapore proper for 3 nights then Sentosa for 3. Kind of wishing we were staying at the Sofitel now instead! Looking forward to reading more about Singapore and Sentosa, off to bookmark your previous post now. Wow, loved this review! Thank you so much. 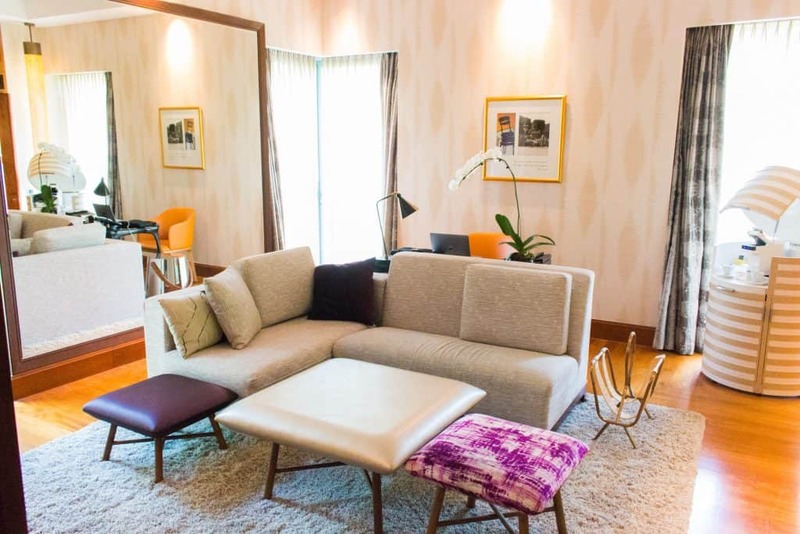 You have definitely helped me make my decision on where to stay on Sentosa!